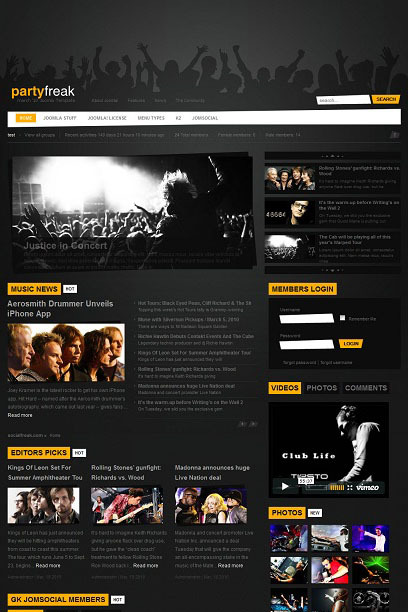 GK Party Freak - Update stylish template musical themes from professional studio GavickPro. Template design is made in dark colors that give a sophisticated and original appearance layout. Proprietary platform Gavern, used for the template layout gives all the modern features that meet all of the web - standards. Built-in support for content management functional manager K2, will allow a flexible way to work with the materials of the site. GK Party Freak can be used to create sites of various types and complexity.